Wholesale Sarongs from Bali Indonesia by CV MAYA, sarongs wholesaler and exporter company in Bali Indonesia. Producer of batik sarongs made of rayon fabric. If you need batik textile made of 100% rayon, we could help. Our batik sarongs comes in many colors. Catalog of handpainted sarongs made in Indonesia. Browse our catalog of sarongs made with hand painted motifs. Beach sarongs with Hawaiian motifs, tropical flowers and tropical animals. Sell well almost everywhere. Many kind of batik sarongs and pareos made of rayon fabric. Buy from CV MAYA, sarongs factory in Bali. 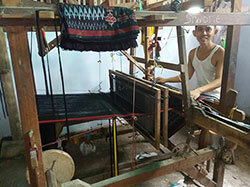 We've been producing and export sarongs to many sarongs wholesalers worldwide for years. Batik beachwear from Bali. Batik Clothing and apparel made in Indonesia. Batik fashion products.